With the aim to inculcate in young minds, the love for Mother Nature and to teach the importance of plants in our survival, Staford School organized an educational field trip for the students of class IV to NBRI. 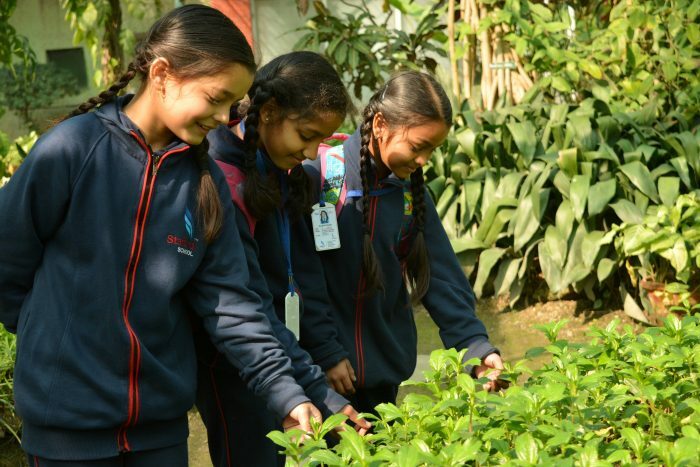 Botanical Gardens act as an educational institution for students to get an insight on conservation of endangered plants and as reference for identification of plant specimen. The students came across various species of plants they had never seen before, as they explored botanical garden with zeal. They observed the differences among various plants on the basis of their leaf arrangement, venation, flower arrangement, roots etc.The students were mesmerized by the tantalizing beauty of flowers displayed in an aesthetic manner. They were excited to know about botanical names of few plants and were further taught about how human and animal nutrients are dependent, directly or indirectly, on plants. The field trip educated them about the importance of plants to science, their aesthetic uses and medicinal uses. It was a very informative and fruitful experience for the children. This whole experience will surely help the children to value, care and appreciate the nature more.